but don’t have a printer? Need to send a parcel, but don’t have a printer? Here at Parcel2Go, we appreciate that you may not have access to a printer. 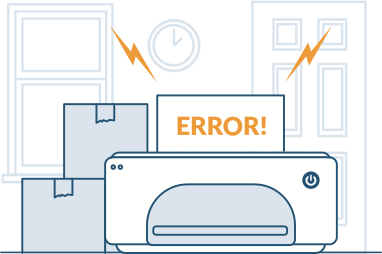 Even if you do, sometimes unforeseen issues can crop up – we’ve all experienced a printer running out of ink or going ‘on the blink’ at the most inopportune times. Don’t let this get you down! Parcel2Go have worked hard to bring you a number of courier services that don’t require a pre-printed label. You can also use DX, Parcelforce (collection service only), City Sprint or Palletforce and the driver will bring labels to the collection point, so you can just hand write the delivery address onto the parcel- easy! You can use Parcelforce (collection service only) and the driver will bring labels to the collection point. When you process a quote, the services that do not require a printer can be found in the service descriptions listed under the service name. You can click here to obtain a quick quote. Services with Parcel2Go that don't require a printer?